Now that the Tesla Model 3 is finally here in production form with the earliest deliveries going out last night, it’s time for the wave of driving impressions. Here’s what people are saying about how the Model 3 looks, feels and performs in the real world. 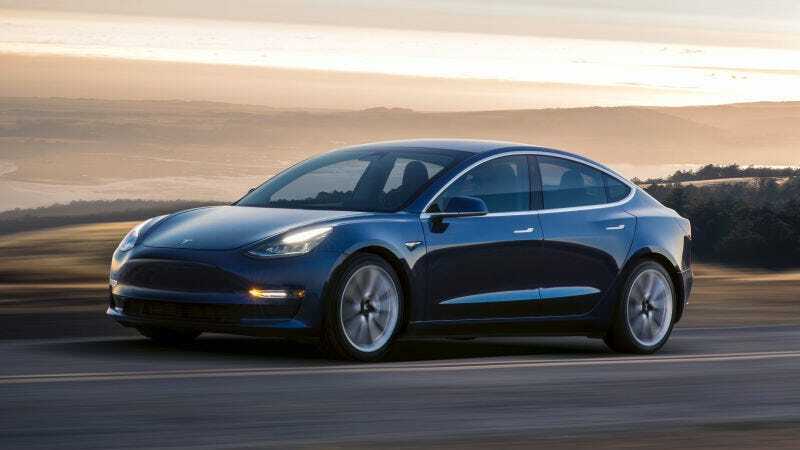 On paper, the Tesla Model 3 has a claimed 0-60 time of 5.6 seconds with the standard 220 mile range battery trim and a 130 mph top speed, or 0-60 in 5.1 seconds with the longer range 310 mile battery that tops out at 140 mph. 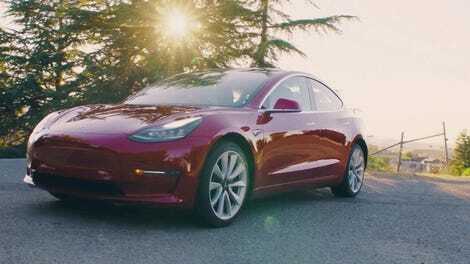 Its platform is similar to that of the Model S and Model X, with a low center of gravity thanks to the low-slung, sled-like battery positioning. It’s obviously the smallest car in Tesla’s current lineup, but still offers seating for five, enough storage up front for a carry-on bag, and a revised trunk opening from the concept model shown off last year. So what is like to drive the Model 3? Electrek’s first impressions detail the interior, revealing that the Autopilot activation is now clearly labeled on the stalk on the right of the steering wheel with the other drive options. Also notable is mention that the regenerative braking on the Model 3 feels substantially weaker in the driving dynamics than on the Model S and Model X. The left side [of the screen] is definitely more animated when in drive. The renders of the Model 3 and surrounding vehicles appear on the screen like they do on the instrument cluster of current Model S and Model X vehicles with Autopilot. The fit and finish of this Model 3, which was among a few dozen handed over to employees at a ceremony Friday led by CEO Elon Musk, was tight. Panel gaps were perfect. Doors open and closed with a solid thunk. Now, Musk just needs to, as promised, make 499,999 more a year to the same standards. And then there’s the trunk. Here I was concerned because the rear glass does not swivel upward, this is a sedan not a hatchback, and from looking at the earlier concepts it sure seemed like you’d be left with a narrow opening back there. But, the trunk, though shallow, opens up high and gets well out of the way. There’s actually a very large trunk opening and a plenty-deep trunk. Two bags of golf clubs should be no problem. I bet you could even manage four. Other than that, Top Gear had the only initial impression that mentioned an actual demonstration of Autopilot while in the Model 3, and the experience sounds on par with what we’ve come to expect with the semi-autonomous system in Tesla’s other cars. All of these initial impressions were in the Long Range trim Model 3, which is priced higher at $44,000, and many of the test cars were apparently owned by Tesla staff and had been option well beyond that price point. Overall, things look good for Tesla’s revolutionary new electric car, but of course nothing compares to long-term testing and the revelations of actual ownership. Still, this is a strong start, and if Tesla can deliver a sporty, reliable driving experience with a tight finish to all of its claimed half-million deposit holders, the Model 3 just might live up to its hype.